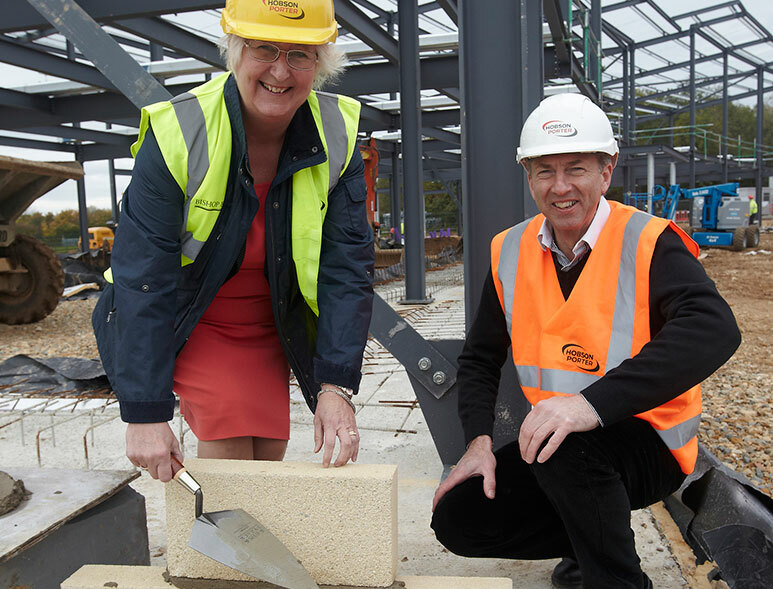 It is one of thousands of bricks to be laid as part of the country’s first new-build agricultural college in half a century. 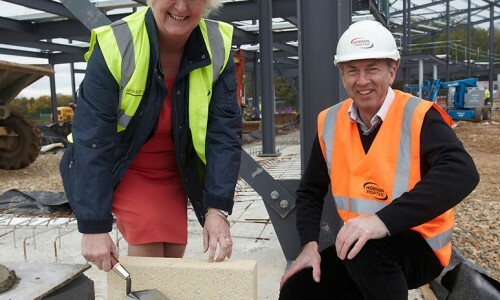 That first brick, of what will be the new £13m Riseholme College, was laid by Jeanette Dawson OBE, Principal and Chief Executive of Bishop Burton College, and Dave Blades, Business Development Director at Hobson & Porter. Riseholme College was recently taken over by Bishop Burton College and, with only short-term leases available on its existing site north of Lincoln, a deal was made with the county’s agricultural society to build a brand new college campus within the Lincolnshire Showground. “I am really looking forward to seeing the building coming together over the next two years. We have a fantastic relationship with Hobson & Porter and we are looking forward to working with the team throughout the building process. Bishop Burton’s Skills Funding Agency Capital Investment Fund bid will provide more than £6m of grant funding towards the total investment, which is expected to top £13m. Dave Blades, Business Development Director at Hobson & Porter, said:“We are delighted to once again be working with Bishop Burton College to deliver what is going to be a fantastic new facility for Riseholme College and one that will benefit the entire region. “Lincolnshire, and the Humber region in general, boasts a strong agricultural industry and ensuring there are facilities of the highest quality for future workforces to learn their trade is essential. The new campus will offer state-of-the-art teaching areas and equipment on a site that is at the heart of the county. Bishop Burton College has a national reputation for quality and is the only College in the UK to hold Centre of Vocational Excellence status in both Agriculture and Equine. The new facility will welcome its first intake of students in September 2015, and will be fully operational by 2016. The new campus is expected to engage more than 450 local businesses in skills training within two years. The project will also increase the number of learners, to more than 800 students on campus by 2016. This will include new learning opportunities for local residents that are not currently in education, training or employment and will offer a number of new apprenticeship and trainee programmes to link learners into local industries.